Launched in 2017 to promote the understanding of India’s complex Culture, this site aims to enhance relationships and productivity between Indian and Global businesses and serve as a resource for anyone interested in Indian Culture and it’s interfaces with other cultures. Several articles by the author on India-Global interactions have been published in LinkedIn since 2015. If you work with Indians or are an Indian working with other countries, whether you are an established India-Global business or a start up , whether you write proposals, manage relationships, set up organisation structures, report to each other or conduct business negotiations, or just travel to India and want to understand it more, this site is for you. This site aims to provide you with insights into the behavioural interface between Indian and other nationalities, focussing on the ‘WHY’ of behaviours. The articles on this site are comparative real life situations and ideals that attempt to illustrate in a clear manner, the critical differences between Indian and other National Cultures. Background: The author has 21 years of working in multi national teams as an Information Technology Programme/Prince 2 Certified Project Manager in the U.K, U.S.A, Malaysia, India and Switzerland with multi-cultural teams comprising Indian, British, American, Malaysian, Swiss, Thai, French, Spanish, Latin American, Chinese and Japanese personnel. He has worked with companies such as General Electric, Xerox, Aviva, Lloyds Bank & Tata Consultancy Services, and as an independent consultant in the U.K.
Corporate Experience: He has led initiatives such as the U.K’s largest I.T. Programme ‘Wagner’ -Aviva Life’s reattribution programme which was represented in the U.K parliament. He has also successfully led Lloyds Bank separation teams responsible for the sale of branches in Uruguay and Japan. Turning Point: Hemant’s involvement in Inter-cultural Behaviours was sparked 15 years ago when the organisation he was working for almost lost a massive project due to cultural miscommunication. That marked the start of his proactive study of Inter- cultural behaviour. He began to ‘apply’ intercultural behaviour analysis in Relationships, Negotiations and resolving Deadlocks, extrapolating it to establishing Optimum Organisation Structures and Offshore Models. 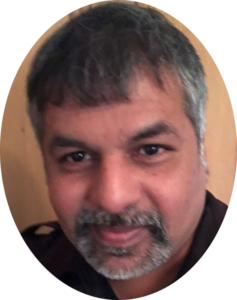 After 15 years of ‘real time’ experience he decided to become an Intercultural Behaviour Consultant to share his unique knowledge and experience – that of having applied Intercultural Behaviour Analysis in real time corporate life with great success. To this effect, he founded INDERACT, which specialises in ‘Enhancing Relationships and Productivity between Indian and Global Businesses‘. He also serves as an India consultant to Richard Lewis Communications Ltd and has consulted for Rolls Royce(U.K) and Orion(Finland).